Benefitting from the race-bred design features and refinements of the GP Plus R leather and even Alpinestars race suits, the second generation Alpinestars T GP Plus R Air Jacket transposes much of the same tech and design cues onto a 450/600D textile and mesh chassis to create a lightweight summer street riding jacket with the fit and function of its track-going brethren. This is a pretty nice jacket for the money. It fits well (I upsized mine a little to allow for a base layer in cooler weather), and has some great feature, but there were some shortcomings for me. 1) The back insert is...pathetic; beyond pointless. It's just a wedge of really thin, flimsy foam. I fixed this by adding the AS Nucleon insert, but that added another $60 to the price. So now, for what I'd consider adequate protection, this jacket is pushing $300. Which, at that point...honestly, I probably should have just sprung for the Rev'It Sand 3. But...moving on. 2) No 3/4-season liner. It seems like AS missed a beat here. If they'd added in even a basic, removable waterproof liner, it would absolutely make this jacket a WAY better all-rounder. I get it's a summer jacket, but again, at this price point, AS missed an opportunity to open this gear up to a wider market. I feel like it should cost about $70-80 less than it does. Don't mistake, it's good for what it is, just a bit too pricey. This jacket is awesome! I'm 5'5 about 175lbs - 180lbs. I called to check what size they recommend because I do not like to deal with the hassle of returning and getting the wrong size. They told me this jacket runs small as assuming the rest as well. I usually wear a medium in true to size jackets but I got a large and it did not disappoint! If you want a comfort fit get a L but if you want a snug fit get a M.
Other than the colors running when I got rained on it is great. I bought this jacket about 6 months ago and use it daily. I commute 82 miles a day in Arizona and needed something to keep me cool and offer unparallel protection. This jacket does just that. The fit is a little small, however not a big issue what-so-ever. It flows a good amount of air but more would always be better. Protection is on point. CE 2 on shoulders and elbows really help give me that piece of mind. I just bought CE 1 chest protectors so we'll see how those fit in a few days. I 100% recommend this item and was so happy with it that I bought a pair of Alpinestars riding pants to go along with them. Quality is top notch. Using the sizing chart I ordered an XL. I'm 6' 4" and weigh 205-220 lbs. I had to get a 3XL to get sleeves long enough to make it work and now the arms flap around in the wind like I stole a coat from MC Hammer. Very very disappointed in everything but the airflow and style. Would it kill someone to make a good looking jacket in tall sizes? I purchased this jacket about a month ago and have been riding around with it since. 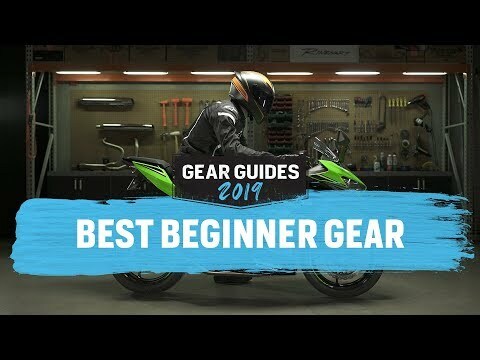 I am fairly new to riding and knew I should be getting a jacket. 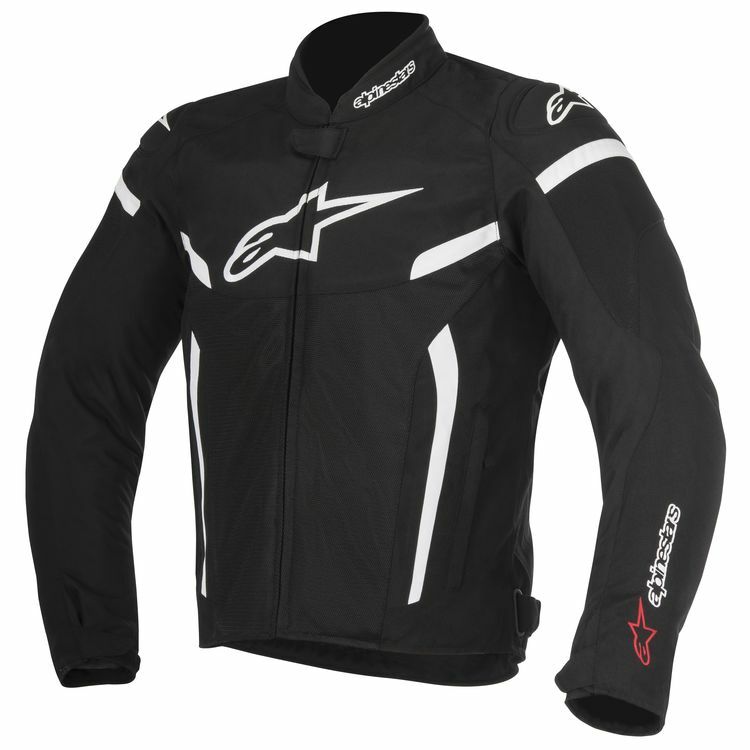 I looked at other Alpinestars jackets and the prices of most were high of course. But this one caught my attention. I live in Colorado and the summers here are really, really dry and really hot. 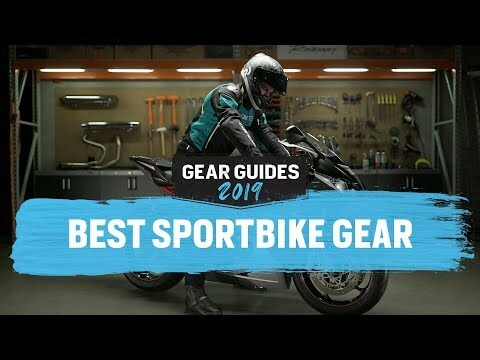 I chose this jacket because of the great looks it has and fits very well on a sportbike. But its something I enjoy wearing when I go riding. The jacket itself has tons of air flow and I purchased the black and white jacket. Surprisingly, I do not get hot at all in this jacket. The jacket is super comfortable and for the price it is well worth it. The jacket did fit a little smaller than expected but I have heart that Alpinestars gear does run smaller than usual. I am 6' and 165 lbs and ordered a large. Still a very comfortable jacket. For the price and all the nice features inside of the jacket it is well worth it. Has a water proof compartment on the top left side of the chest which is nice. I would highly recommend this jacket to anyone looking for a nice sporty, good looking and good air flowing jacket. I bought this jacket because I needed a true hot weather riding jacket. I also have a Daineze perf heather jacket that just doesn’t cut it on the super hot and humid days. Man am I glad I got this the airflow is amazing!!! Nice and cool on the long hot rides. Pros: this jacket fits me perfect! The airflow can’t be beat. So many features for the cost. Cons: I wish the Velcro at the wrists and neck were snaps. I don’t like it but it’s not a deal breaker. Protection meh it’s a mesh jacket; add back and chest will be a must for me. Style, god I wish this jacket came out in a murdered out version would of been epic. Overall happy with this and will buy Alpinestars again. This was the first riding jacket I've ever purchased so this review will be more helpful to people in that category. I was expecting a jacket with protection in the right places and to be comfortable. Jacket does look good and has good craftsmanship but I will be returning due to all the previously listed reasons. I have ordered an Icon and Rev-it jacket to replace with hopefully a better experience. I've done a good 10,000miles in this jacket. The most comfortable jacket I've owned. The only issue I've had was during a lowside. The right elbow armor rotated and didn't protect my right forearm during the slide, but did it's job on the initial impact. I'd definitely buy another one if the need arises. Looks Cool! Peoples comments on it talking about how good of a summer jacket this is! This is my new latest and greatest summer commuting jacket. It offers a great wind protection and ventilation at the same time. Suitable for a wide range of temperatures, from 60's and into 90's. Astars gear is always quality with protection to match. I'm a big guy and this was the perfect sport fit for me to get down with a twist of the wrist. great price/my leather jacket is too hot for SoCal hot weather so trying out textile with mesh. Right amount of reflective for daily commuting daytime and night. Gift for my son in law. Good quality jacket. Doesn't flow the greatest though. It was a gift for My son he picked it out and loves it. In my opinion one of the better looking summer jackets and also the fact it was on sale attracted me. New model of a well reviewed product. CE2 level protection at a reasonable price. Will use the money saved to put in a good back protector. I have a 43.5 inch chest. Would an XL fit or would I have to go 2XL? BEST ANSWER: I'm 6'1, 215, 44" chest. Went with the XXL. Would do it again. 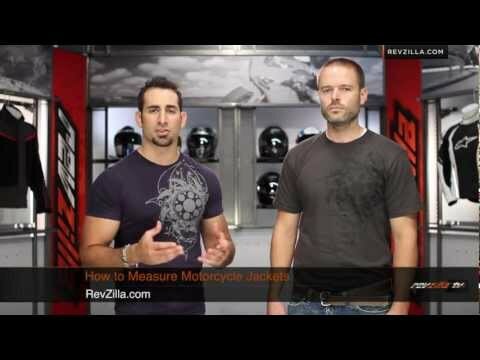 If I were to purchase Alpinestars Nucleon KR-Ci Chest Protector Inserts, can I use them with this jacket? BEST ANSWER: Yes you can. Just remember to get the correct size for your jacket. You can but I prefer to go a size up for the back protector. So is this more of a textile or more of a mesh jacket? Neither. It is a perforated leather jacket. It flows air quite well while also offering great protection. It will not flow air like a mesh or textile jacket. I get pretty hot in traffic on 70-90°F days but it feels great with ample airflow while moving. This is incorrect it’s not leather. Am I just slow? How do you access the chest armor pockets? BEST ANSWER: There is a “hidden” zipper at the bottom of the jacket on the inside, under the flap that has the zipper on it to attach to pants. Hope this makes sense! Thank you. There is no way I would have ever found that. Does this keep you warm during winter nights with the wind liner? BEST ANSWER: There is no wind liner with this jacket. Its a Air version, made to flow lots of air. I,ve ridden below 18 degrees centigrade and it was cold. A winter base layer or a fleece jacket or even a hoodie will solve the problem. Ah yeah thank you. I meant to write this for a Spidi jacket and couldn't delete this question after I hit enter and noticed it was A* lol. Thank you for the reply though. Is it washable? Machine wash? Does this jacket have the 360 zipper to attach to pants? BEST ANSWER: It has what I think they call 270 degree zipper. It's definitely not 360 and it's definitely more than 180. It pairs up with my leather A-star pants well. Note this jacket rides high meaning it doesn't cover much below the belt line so zipping it up for some body types (short torso) zips up well. I hope that helps. I'm 5'11 & 167 pounds should I get an M or an L? BEST ANSWER: if you are riding in the winter with it get the large so you can layer under it. Are their zippers on handwarmer pockets? How many season can I get with this jacket? I live in ma. BEST ANSWER: It didn’t come with a wind proof liner, but with a wind breaker underneath. Mine is tight but I would confidently ride all year with the right under layers.